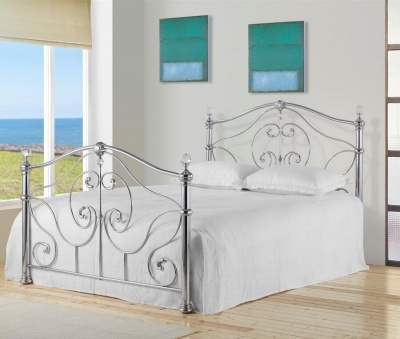 Fashionable curved bed frame with a two-tone painted finish. Modern grey frame with whitewash oak tops work with modern and traditional interiors. Slatted head and foot-boards help to give a feeling of space in your bedroom and stop this stylish bed frame from dominating the room.